A century ago, or was a mere collection of wattle-and-daub huts and ‘native shops’that extended for no more than 200m. True ,it was the location of a spacious and comfortable rest,house, but that was about all the place had to offer the 19th century tourist,expect, of course,the experience of a visit to the famous cave temple on the massive rock that provided the backdrop to the village. 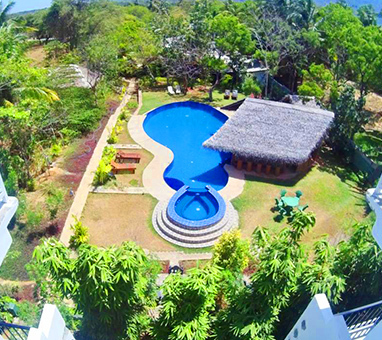 In addition, the rest-house was sometimes used as a night stopover before an excursion to the nearby rock of sigiriya early the next day. Today, many things have changed. Dambulla is now an extenseive and modern market town, a commercial hub of sri lanka’s north central province,the streets are full of shops displaying bicycles by the dozen, a bewildering array of aggriculture implements, household utensils, and much, much more.Dambulla is also the location of the country’s newest international cricket stadium, which means that overseas fans of the sport periodically descend on the area.As importanly, however , some things haven’t changed. While the surrounding area – in particular kandalama – has seen the emergence of several expansive new hotels, Dambulla still relies heavily on its small but evergreen rest-house. 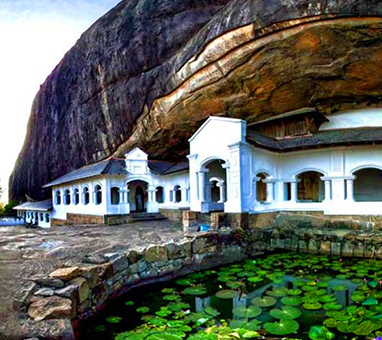 The richly painted cave temple – one of sri lanka’s seven UNESCO World Heritage Sites – still attracts a multitude of travellers and pilgrims alike. Dambulla, which is part of the Cultural Triangle declared by UNESCO , is on the main road from from sigiriya to Kandy about 19Km from sigiriya. 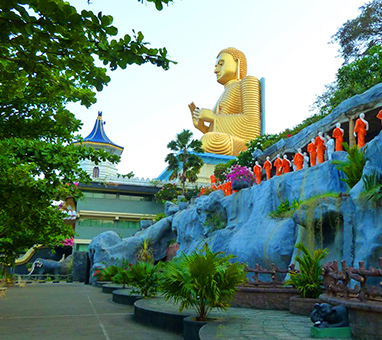 There are over 80 caves in the surrounding area and some of them have been used by the monks as meditation locations. Amjor attractions are spread over 5 caves, which contain the statues and the paintings.since its founding in the 1st century BC by king valagamba, many improvements and additions have been carried out to the sculptures and paintings over the years. Hindu statues are believed to be of the 12th century AD and the latest paintings are of the late 18th-century. The temple is a perfect location to view evolution of the ancient Sri lankan arts. Dambulla is a unique and important historical site because of the amalgamation of the material from many eras.